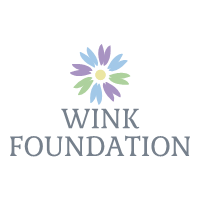 Thank you for making a pledge to Wink Support. We will notify you by email when the fundraiser is launched! to endorse Richard Burris's fundraiser for The Wink Foundation. its members an effective and dynamic way to leverage individual commitments to charitable giving. Fueled by our passions, we contribute and raise funds to support our efforts. These efforts include identifying volunteer opportunities, learning about unique nonprofit organizations, submitting grant proposals on behalf of these groups, and providing annual grants to organizations that will be significantly impacted by this influx of resources. Raised of a $50,000 goal. Endorse Richard Burris's fundraiser for The Wink Foundation. Log In or Create An Account to endorse Richard Burris's fundraiser for The Wink Foundation.